I think a good question in regards to broad methane hydrate instability is if we ask: “How fast is sea-bed permafrost degradation progressing today?”, and to compare observations with past deglaciation in the most affected latitude’s. Any scenario should be judged, assessing the entire spectrum of energy budget change and rate, including future emissions scenarios. Which all is unique, unprecedented in Earth history and for Earth atmosphere (during the PETM, CFC’s for instance weren’t part of the equation). 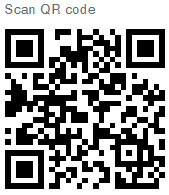 RealClimate discussed “An online model of methane in the atmosphere” Jan 2012 (Link). But to better understand uncertainties, we need to pin down how pronounced climate feedback’s are, because of the slow climate inertia. Accounting for all forcing’s and feedback’s means to combine them into 1 model. So far the suspected atmospheric state change with increased emissions isn’t clear, specifically in regards to the capabilities to break down greenhouse gases or the state of the ozone layer, under all emissions scenarios. Harvard scientists have discovered that intense summer storms can force water vapor into the dry and cold stratosphere through a process called convective injection. The presence of such water vapor, which normally stops at the tropopause (the boundary between the troposphere and the stratosphere), changes the threshold temperature at which ozone is destroyed by chemistry dependent on manmade chlorofluorocarbons (CFCs), which are still present in the atmosphere despite an international ban on their use. The chemical reactions that destroy ozone typically occur only at very cold temperatures. The Montreal Protocol helped to curb CFC’s to prevent further Ozone depletion. Today, the uptake of Ozone damaging water vapor in the stratosphere should be used for similar conclusions. Possible underestimated natural gas exploration leakage and increased methane emissions from flooded soils (i.e. changes in Monsoon pattern) are in part attributed to current methane observations. “Climate models show cooler stratospheric temperatures happen when there is more water vapor present, and water vapor also leads to the breakdown of ozone molecules,” Shindell said. According to satellite data, upper atmospheric temperatures around the world (20-35 miles high) have cooled between 5.4-10.8 degrees Fahrenheit over recent decades. 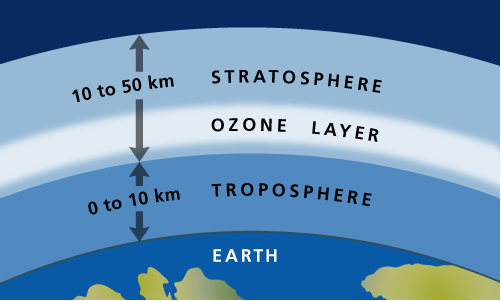 The stratosphere is the typically dry layer of the atmosphere above the troposphere, where temperatures increase with height. The second cause of change in the upper atmosphere is a greater transport of water from the lower atmosphere, which happens for several reasons. Warmer air holds more water vapor than colder air, so the amount of water vapor in the lower atmosphere increases as it is warmed by the greenhouse effect. Climate models also indicate that greenhouse gases such as carbon dioxide and methane may enhance the transport of water into the stratosphere. Though not fully understood, the increased transport of water vapor to the stratosphere seems likely to have been induced by human activities. The increase of water vapor in the atmosphere is also a indication for a process connected with the Venus syndrome. We extrapolate on the current system state, but passing thresholds means to “break things”, like the capacity of the stratosphere to sustain a habitable dobson value or to prevent hydroxyl radical depletion. Greenhouse gas increase is not just a matter of heat trapping properties, it also destroys the current state of the atmosphere to a degree which radically affects life on Earth.